WARNING! 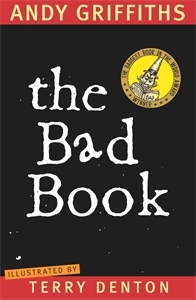 This book contains nothing but bad stories, bad illustrations, bad poems, bad cartoons and bad riddles about bad characters doing bad things. It is a very, very, very, very, very, very, very, very, very bad book. Pulling the wings off a fly. And said 'Oh, what a bad boy am I'.